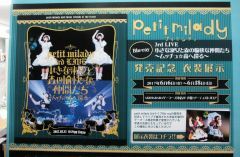 Between June 6 and June 18, 2017, there was a Petit Milady outfit exhibit at Gamers. 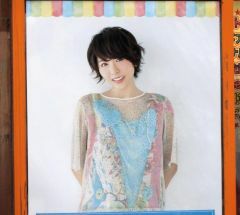 In June 2017, there was a large advertisement for the first album by Numakura Manami. 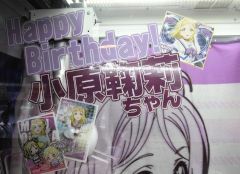 June 13 was Ohara Mari's birthday, and there were decoration at a few game centers in Aikhabara. At the beginning of June 2017, there were display at the front of Gamers for the latest CD by the seiyuu group Milky Holmes. 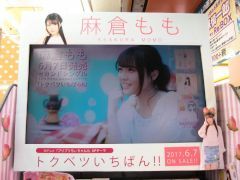 In the beginning of June 2017, there was a display at Gamers for the latest single by Asakura Momo. 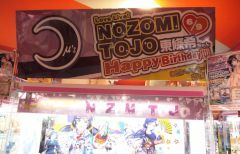 Between June 6 and June 15, 2017, there was an exhibition on the 5th floor of Gamers. 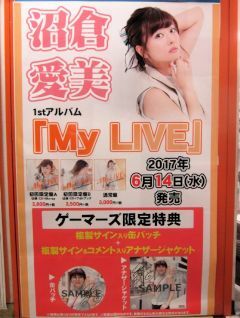 Toyosaki Aki "Honey and Loops"
In early June 2017, there was a store side advertisement at Toranoana for the latest single by Toyosaki Aki.